Now, I feel that it is much more than a discussion blog. I consider this a very powerful tool of professional development. Currently I am in Boston University and I am browsing the various professional development network on the web. Comparing NeltaChoutari with other internationally known blog, I can say that NeltaChoutari has offered us no less than any professional sharing blog has offered. Yesterday, Shyamji called me and asked me if I was in a position to share my observations about the blog as its regular reader and occasional contributor. I happily agreed. The list can go on and on. I just wanted to mention that we have shared a wide variety of topics that are the buzz terms in the ELT undercurrents. This shows that the forum has been able to offer the most updated ELT materials from home and abroad. If someone compiles the discussion (probably NELTA can think of doing it), it would produce an excellent ELT Anthology with a Glocal ELT flavour. When I read the interview by Prof. Jai Raj Awasthi and the articles by Prof. Govinda Raj Bhattarai, Mr. Vishnu Singh Rai and Dr. Bal Mukunda Bhandari in the last issue and several other articles from many other colleagues from Tribhuvan University and Kathmandu University, I felt that ELT in Nepal is growing as a dynamic discipline and we have been able to set the ELT parameters in Nepal along with the global advancement. I feel very proud to be a part of the recent curriculum revision project in Tribhuvan University and there were many colleagues involved in it. Prof. Awasthi has already highlighted on the new courses in his interview last month. On this occasion, I would like to quote Dr. Numa Markee, Professor of University of Illinois, Urbana Champaign while asking him for his observations on the recently revised teacher education course of B.Ed. and M.Ed. that he reviewed before they were finalized. He said, “Overall, I think that the quality of the curriculum you have devised is certainly comparable to that of British, American and Australian universities with which I am familiar”. This shows that we have been following the current ELT world and we also have a lot to offer to the global ELT community. Professional forum such as NeltaChoutari are the excellent platform to learn and help others learn. Shyamji told me that we have over 9,000 views with an estimate of 500 unique readers on NeltaChoutari as of December 1. This is not a small number. When I shared this blog as a part of my presentation in one of my classes in Boston University, I received very good response from them. They said that they will ask their students to use this blog to get the resources for their research work. However, the readership is not enough. We need think of ways of getting people engaged in the professional communication and sharing. This is the most difficult and challenging part particularly in Nepal where English teachers have to be extremely busy with several assignments and obligations. Nevertheless, we need to find some time for our professional growth. At this point, I would like to make few suggestions to make NeltaChoutari a more productive forum. a) NeltaChoutari not only offers the thematic discussion but it also connects us to the vast amount of ELT resources that are available online. Teacher education campuses can encourage the students to make use of those resources. Students will find them highly useful for the course work and practice teaching. There are wonderful lesson plans on the web which our student teachers can use them readily in their classes. Similarly, the articles from these resources will complement the topics they discuss in their classes. NELTA can organize a short orientation program for the teacher educators both at the center and at the branches and give a demonstration of how best these resources can be made available for our students. The teacher educators can also be encouraged to share their experiences through this blog and learn from their colleagues around the globe. b) One of the key challenges for our thesis writing Masters students is the literature review. I remember my students having this challenge and I used to recommend them to visit to NeltaChoutari and find the relevant ELT resources for their review. There are archives of such resources which can be accessed via this network. If people really need some articles that are not freely available, there are NELTA colleagues around the world who have kindly offered their help to make them available if request is placed. So, I can see that it will be a great opportunity for our students to explore NeltaChoutari during their research. Once they are into it, I am sure they will be addicted to it. c) In order to engage the primary and secondary level English teachers in the discussion, we could organize a session in the NELTA conference as we did last year and share with them what this forum can offer for them. Also, NELTA Central Committee can organize a short session to orient the branch representatives on the use of this forum. In a nutshell, what I am trying to say is that professional networking and sharing is the best way to develop ourselves and the more we share the richer we become professionally. Please do read NeltaChoutari and engage yourself in the professional discussion and I can assure you it will pay you back !!!!! Thank you Shyamji, Balji, Premji, Kamalji and Sajanji and recently Hemji for making NeltaChoutari a special ELT forum for all of us !!!!!!!!!! Your words, as always, are inspiring and motivating. 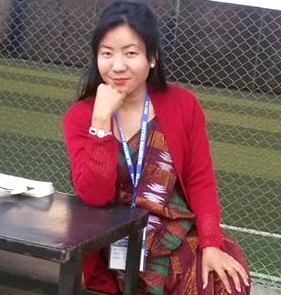 NELTA Choutari is a great asset of English Language Teachers in Nepal. As you said, I agree that it’s been a means of professional development for the teachers in Nepal and outside Nepal. The archives in this blog along with discussions going on in NELTA Mail help every teacher, a novice as well as a professional teacher to enrich their knowledge and become better teachers and professionals and obviously a great source of LITERATURE REVIEW for master’s students. Thus, I read Nelta Choutari issues regularly and encourage my colleagues to do so. I would like to thank to Prem Sir, Shyam Sir and Kamal sir personally for their hard work. Recently, I tried to advocate the strength of a blog by using samples of my own ‘unpublished’ insights in a writing workshop for the Postgraduate students of Kathmandu University. And I realized the strength when samples of my own works went best with the theoretical categories I tried to introduce. While preparing for the workshop, I could draw works from my three year old archive and improvise them with my present insights — with the disciplined liberty to create and re-create artefacts irrespective of time and space! The same liberty has ensured the quality of Choutari. When I joined the team, my friends had already created a huge source in archive and links. I was happy to be a pursuer some years’ experience, and happier to work with a team of disciplined scholars with greater exposure. We have always respected one another’s commitment for quality, and been keen to initiate discourses relevant to ELT in Nepal. But, I wish we could meet new writers and newer subjects in each issue, the number of visitors multiplied and new readers initiated discussions and sustained them. And I also wish people wanted to evaluate and use the archive and links. It is still little tricky in our part of the world to ask people to believe that free content has value. But we have been insistent on meeting our deadlines and standard and making a new issue of Choutari meaningful. Two years’ consistent work by half a dozen like-minded, committed people does buy some credit. We are justified to claim this: if now for working for a couple of years, but later for substantially contributing to ELT in Nepal. Choutari has the value of the academia, and can be a part of the offline platforms. The value may not be less than that of those easy-to-buy-but-hard-to-pay materials sold rampant in our local bookstores. Well, if this helps pick a debate, I will be glad to collect evidences. Before that, however, I would request our readers and well-wishers (both from and outside NELTA) to look at the content, analyze and utilize it and let us know if it is not useful. Ganga Sir, your observations and contributions, like those of other senior scholars, authenticate the contents of Choutari. Will you be able to add a few more articles from your observations on the practice of formal blogging abroad? We look forward to that.